New. 100% Money Back Guarantee. Brand New, Perfect Condition. We offer expedited shipping to all US locations. Over 3, 000, 000 happy customers. Sewn binding. Cloth over boards. 752 p.
New. 0062693018 Brand New! Not overstocks or remainder copy! Fine. 100% Money Back Guarantee. Brand New, Perfect Condition. We offer expedited shipping to all US locations. Over 3, 000, 000 happy customers. Sewn binding. Cloth over boards. 752 p.
Very Good. 0062693018 Little edge wear. 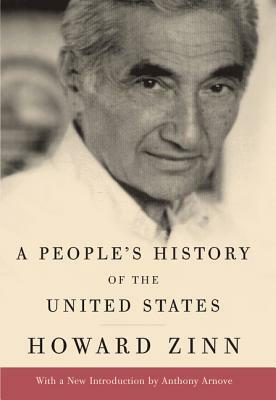 Books by Howard Zinn, Ph.D.
Should be titled "What they Didn't Teach Me About History in School"